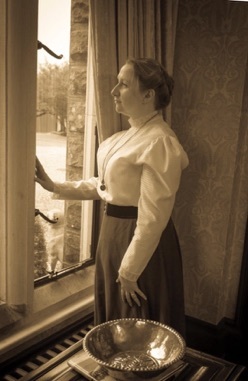 Time Steps was established in 2010 as a Living History company dedicated to providing educational – but entertaining! – historical interpretation to people throughout the island of Ireland. The art of Living History allows audiences to take a step back through time and experience life as it was long ago. 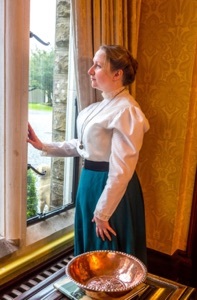 By using the speech, costume and social etiquette of bygone times – combined with professional dedication and commitment to historical accuracy – Time Steps has established an excellent reputation for museum interpretation and Theatre in Education. We travel throughout Ireland working with schools, museums, heritage sites and community and professional groups either delivering one of our own programmes, or creating and performing award-winning commissioned projects. Living History is invaluable for celebrating and exploring our shared heritage, and as a tool to make history more accessible. We believe that people will remember more if they do more – that is why all our work, whether public tour, school programme or heritage project, is fully interactive with opportunities for audience participation.